Biography: Dr. Anthony Berdis received his B.S. in Chemistry from Gannon University in Erie, Pennsylvania. He received his Ph.D. in Biochemistry from the University of North Texas in 1993. His graduate work, performed under the direction of Professor Paul F. Cook, focused on using steady-state kinetic approaches and heavy atom isotope effect measurements to elucidate the kinetic, chemical, and regulatory mechanisms of enzyme-catalyzed reactions. While in Texas, Dr. Berdis was a avid student of the martial arts (Muay Thai and Tae Kwon Do) and earned the nickname “Snake” in recognition for his fighting style. He then performed his NIH-sponsored postdoctoral fellowship under the direction of Professor Stephen J. Benkovic at The Pennsylvania State University. While in Professor Benkovic’s group, Dr. Berdis was fortunate to work on several projects ranging from the development of catalytic antibodies as novel biocatalysts to understanding multiprotein complexes involved in DNA replication. 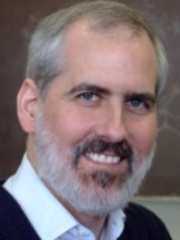 Dr. Berdis began his independent research career at Case Western Reserve University, where he continues to study the mechanism of DNA polymerases. His work focuses on developing non-natural natural nucleotides as chemical probes to study DNA polymerase activity on damaged DNA. His research has led to the development of new models invoking the importance of π-electron density as a predominant factor influencing polymerase fidelity during translesion DNA synthesis. 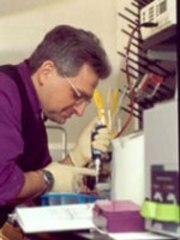 In 2006, Dr. Berdis was presented the Henry W. Menn Memorial Award from the Skin Cancer Foundation recognizing his research towards understanding the mechanism of translesion DNA synthesis. Berdis, Anthony J., "Mechanisms of DNA Polymerases" (2009). Chemistry Faculty Publications. 263.